For those of you who somehow do not yet know who T-Seriesis, it is a leading Indian music label and movie studio – it in fact claims to be ‘the biggest – that is the world’s largest YouTube music channel and before long it will likely be able to drop the ‘music’ qualifier from that title. It is also the label that Spotify just struck a deal with as it preps its protracted launch into India. India is a problematic market for streaming monetization. It has 1.4 billion consumers but just 330 million of those have smartphones. There were 215 million free streaming users in 2018 but just 1 million paid subscribers despite leading indigenous players like Hungama and Saavn having been in market for years. Total streaming revenue was just $130 million in 2017 generating a combined annual ARPU of $0.27. And that number is heavily boosted by unrecouped Minimum Revenue Guarantees (MRGs) due to local streaming services continually failing to meet their projected subscriber numbers (though according to local accounts, perfectly happy to continue to effectively overpay for their streaming royalties). The video side of streaming is more robust with eight million subscribers generating more than three times more revenue than music streaming does. Even still, eight million subscribers is scant return against a base of 330 million smartphone users. India is exactly the sort of market that streaming business models have the potential to unlock. The old world was defined by commerce, by people paying to own music or for hefty household TV subscriptions that inherently meant owning a TV set. As a direct consequence, the traditional music and TV markets skewed towards western markets with higher levels of disposable income. This was a massive missed opportunity and one that can now be fixed. As Mexico and Brazil are currently in the process of showing us, populations with strong cultural heritage and large, but lower income, populations can have massive impact. Like or loathe Reggaeton, its ability to permeate the global music marketplace is testament to the power of Latin American music fans and the artists they support, as is Colombian J Balvin’s current status as the most streamed artist on Spotify. Streaming can monetize scale in a way the old model simply could not. What we will see over the coming decades is a steady realignment of the balance of power across the global music and video markets. Western markets – and a handful of others such as Japan – will continue dominate revenues due to a combination of higher subscription penetration and higher subscriber ARPU. But large population, 2ndtier markets will have a growing influence. The BRIC markets (Brazil, Russia, India and China) are obvious candidates but also Mexico, the Philippines, Nigeria, Egypt, Turkey and Thailand all have similar potential. One of the key reasons Latin American artists have become part of the global cultural zeitgeist is that Spotify has a big regional user base – 42 million MAUs as of Q3 18. Because record labels over-prioritise Spotify in terms of marketing and trend spotting, when Latin American artists started blowing up, European and North American labels started paying extra close attention and building up their own rosters of Latin American artists. Latin American users represent 22% of global Spotify MAUs but their influence is amplified by the fact that they stream a lot and they tend to stream individual tracks repeatedly. So, when they put their support behind something it blows up, edging into the global charts which then triggers a whole bunch of actions that see that track being fed into non-Latin playlists and user recommendations, which can then trigger a further escalation of playlist strategy. And so forth. This was Luis Fonsi’s path to global stardom. Could India ‘do a Mexico’? So the obvious question is, if T-Series had enjoyed the same sort of success on Spotify that it did on YouTube, would Guru Randhawa be topping Spotify’s global artists instead of J Balvin? Would we be finding Bhangra in every sonic nook and cranny instead of Reggaeton? The answer is – as certain as a counter factual claim can ever be – almost certainly yes. Whereas Latin American emigres are a major demographic in the US, they are less so elsewhere. Also, Latin American culture is divided between Spanish and Portuguese. The Indian diaspora however, is far more global, with large populations in the US, Canada and UK. What is more, though India has many indigenous languages, English is spoken nationally, with many artists releasing in English. Similarly, a growing number of Bollywood movies are being made in English with an eye on the global market. So when Spotify finally launches in India, expect a series of global cultural aftershocks. Spotify is unlikely to covert that many premium subscribers – except via telco bundles – but it is likely to build a big free user base. And when that happens expect T-Series to take centre stage with Guru Randhawato be the most streamed artist globally by 2020…? This is the third in the series of posts exploring how the music industry can better leverage the potential of the YouTube economy. You can see the first post here and the second here. Short form video is accelerating at a rapid pace, racking up 4.2 trillion views in the first half 2015. While challengers Facebook, Snapchat and others now account for just over half of that total, few platforms of scale yet provide content creators and owners comparable ability to build engaged audiences and income. For music the situation is even more pronounced – no other platform is even on the same lap of the race (and I include Vevo as an extension of YouTube). YouTube is the most popular online music destination by far (46% of consumers use it regularly) and its role for Digital Natives cannot be exaggerated – 65% of US under 25’s use YouTube for music regularly. But the share that regularly watch YouTube as a whole is even higher: 76%. The added complexity is that most artists and labels do not feel that YouTube is pulling its weight in revenue terms. Free music streamers – of which YouTube is the largest single component – comprise 92.5% of all music streaming users and just 32% of all streaming revenue. Yet a whole generation of non-music creators like PewDiePie, Smosh and the Janoskians have via YouTube built audiences and income that most artists could only dream of. So what’s the secret? One of the key factors is the way in which YouTubers use the platform, releasing 2, 3 or more videos every week. Contrast this with an artist releasing a music video maybe once every couple of months. YouTubers treat the platform as place to build relationships with their audiences and to engage them in regular interaction. The prevailing approach among artists, their managers and labels is to simply view YouTube as a place to promote. YouTubers use YouTube as an interactive digital platform for engaging in conversations. The music industry uses it as a broadcast channel, a soap box from which it can shout about its wares. While clearly it doesn’t make sense for most artists to be creating 3 videos a week there has to be a compelling middle ground between that and one promo video every quarter. Nearly half of music’s super fans say that music for them is more than just the song, that they want to know the artist’s story. Music videos, the highly stylized form that they are, are hardly a vehicle for telling the artist’s story. In fact there are few mediums less suited for the task. But there is so much around the video that can be harnessed. Imagine how much extra content could be created by adding half a day to the video shoot to film extras such as goofy outtakes, the band talking about the song, a making of, behind the scene reportage etc. And the costs should be modest. YouTube is DIY. Part of the authenticity most YouTubers deliver is by not being over produced. So only a fraction of the crew used for the music video shoot would be needed. The resulting video extras could then be planned into a release schedule on the artists’ YouTube channel, building up weekly to the main music video and then maintaining interest thereafter. This is just one illustration of how it is entirely feasible to create lots of added value content with relatively little additional burden on the artist. Yes, this might feel like creating the extras for the bonus disc on a DVD, and in some ways it is. But there is a crucial difference. DVD bonus discs are a means of charging more for a release and usually go unwatched. Among young YouTube viewers this sort of content is often of comparable – though different – value to the song itself. In the sales era fans invested in their favourite artists by buying an album. That cash investment usually meant a fan would spend time listening to the album again and again. And that familiarity became the foundations of a long term relationship that would result in buying concert tickets and future albums. But now as sales dwindle (down by 29% in the last 5 years) music fans are investing in their favourite artists in time and attention rather than money. We now operate in an attention economy. YouTubers totally get this, artists and labels less so. This is all so important to artists because YouTube is not suddenly going to start delivering dramatically better music stream rates, largely because labels and publishers haven’t had the courage to demand the requisite fair share it should pay. Rights owners’ fears are understandable: one senior label executive recounted a YouTube negotiator saying ‘Don’t push us. Right now you don’t like us much and we’re your friend. Imagine what we’d be like if we weren’t your friend.’ Sooner or later bullying tactics need standing up to. But that will not be a quick process, regardless of the steps currently being taken behind the scenes. So in the meantime artists and labels need to figure out how to get more out of YouTube in a way that complements the other ways they make money digitally. Put simply that means making more non-music video content to generate more viewing hours and thus more ad revenue from YouTube. Heck, they might even generate some YouTube subscription revenue some time. But do it they must, else they’ll forever be leaving chunks of YouTube money on the table. The irony of it all though is that the biggest reason of all for doing it isn’t even about the money. Treating YouTube as a fan engagement platform rather than a marketing tool is currently the most sure fire way artists have of creating engaged fan bases at scale in the digital marketplace. YouTube’s disruptive commercial impact on the music industry is well documented but the real threat to music is far more fundamental and can’t be ‘fixed,’ not even by the world’s best lawyers. This is because the most important impact YouTube is having on music is not commercial, it is cultural. While the music industry is grappling with how to deal with the premium revenue that YouTube appears to be sucking away, a whole generation of (largely non-music) creators native to YouTube have quickly learned how to build highly profitable careers and businesses solely on YouTube. And in doing so they have created an entirely new youth culture. A culture for the sub-millennials, the early teens and pre-teens that are still lazily referred to broadly as Millennials or Digital Natives, but are in fact an entirely new and distinct from those consumers. It is a generation that creative types such as Frukt and the Sound are calling Generation Edge. The emerging behaviours of these consumers are dramatically different from their older Millennial peers and are the catalyst of an entirely new era of youth culture. Crucially a culture in which music looks set to play much less central role than it has ever done so before for youth. At the Future Music Forum, Frukt’s Jack Horner observed that most music genres, and indeed media as a whole, are becoming age agnostic, which means that it is really hard for Generation Edge to find music that they can own, that their mum and dad aren’t going to sing along to too. This is the price to be paid for media and brands having successfully convinced aging 30 and 40 somethings that they are still young at heart and in the pocket. So with no music subculture to cling to Generation Edge has instead gravitated to YouTube stars. Equally significant – there isn’t a single music artist in the top 10 most subscribed artist channels. While it is easy to counter with YouTube being just one consumption platform among many, for Generation Edge it is their main consumption platform. Under 12s in the UK now spend 15 hours a week watching YouTube. 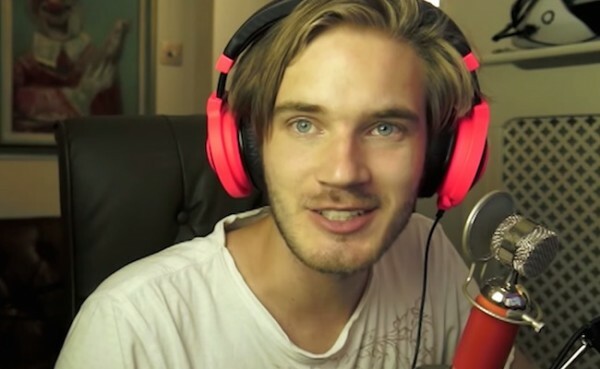 These YouTubers earn serious cash on YouTube (PewDiePie earns up to $1 million a month) and are also taking their brands ‘offline’ as evidenced by national tours by the likes of Miranda Sings and sell out theatre gigs by the likes of the Janoskians. When PewDiePie went to Japan he was greeted with hoards of screaming teenage girls. Everyone is familiar with concept of bands and singers having the x factor, the elusive magical something that an act can have that is often entirely unrelated to their musical talent. How many technically perfect bands have there been that have just fallen flat because they lack that magical something? The successful YouTubers have that exact same magic dust. What they are showing us is that the x factor does not need to be wedded to a guitar or a keyboard. The age of YouTubers’ audiences is crucial. The fact they are pre-teen and adolescent means that they are in highly formative stages of their lives, looking for something that they can connect with and that they can ‘own’. In previous generations this was a role successfully filled by pop and rock stars. Now it is YouTubers. The comment of one PewDiePie fan says it all: “When he looks down the camera I know he is talking to me.” Through the eyes of pre and early teens the world is a confusing place that just doesn’t comprehend how they feel or who they are. Successive generations of youth viewed song lyrics as an almost magical window into their own soul, an indication that someone out there actually understood them, that they were not alone. Now as PewDiePie shows us it turns out that haunting melodies and tortured lyrics are in fact only the vehicle for that connection. That shouty computer game commentaries can do the job pretty well too. We are at the early stages of the YouTuber phenomenon – it is really only in the last 2 years that the movement has really begun to gain substantive scale and recognisable form. So it would be churlish to suggest that the current mix of talent and formats will necessarily be the same 2 or 3 years from now. We also don’t know whether YouTubers will be able to transition their audiences as they age. But what is clear is that the connection between star and fan has been reinvented by YouTube and that thus far music stars have not managed to grasp it. Even Taylor Swift, someone who does actually get YouTube, only has 1.3 million subscribers to her non-Vevo channel. Music is still always going to be the soundtrack to the bewildering, dazzling and breath-taking journey from childhood to adulthood. That much remains the same. But the days of music stars automatically being the defining characters of youth are now gone.